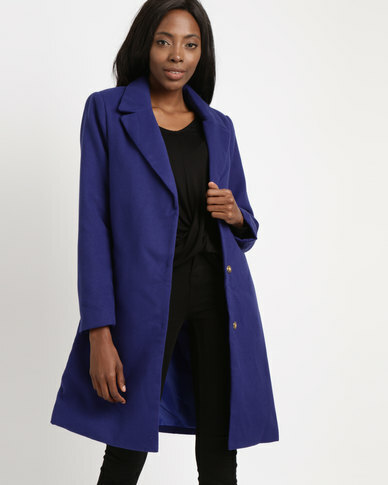 Melton coats are known for their structure and sharp lines and this is exactly what Utopia’s Melton Classic Coat is about. This coat is tailored from cosy, yet structured woven fabric that makes the clean silhouette fall just so. It’s finished with gold-tone buttons that are sewn on in matching bright blue thread. Style yours with a light knit top, leather pants and tall boots then finish the look off with bright red lips.